I lost my patience last Sunday. It was a long, rainy day in the house. The kids took turns helping Joe clean the basement, watching TV, and snacking. And when they were finished snacking, they had another snack. And after the wrappers and crumbs and dirty glasses were cleared away after that snack, five children asked for more snacks. Jack had found a recording function on his camera, and spent most the afternoon time recording his favorite songs and listening to them in the different modes the camera offered: fast, slow, and robotic. After he took a shower and brushed his teeth, he retreated to his bed to play and re-play and play again his new recordings in a god-awful droning robot voice. For a half an hour, while the rest of the family watched Looney Tunes, he lay curled under his covers listening to Taio Cruz singing in monotone, giggling wildly to himself. I was walking in and out of his room putting laundry away, and the first time I went in holding a clean stack of folded shirts, I suggested brightly that maybe he could find another song to play. The second time, I asked him to turn it down. On my third time I gritted my teeth and told him to turn it off. He did none of this, because he was locked away in his own world of strange recordings and bizarre songs. Ten minutes later, I was in the bathroom helping Charlie brush his teeth and through the walls I could hear the droning-droning-droning rhythm of that robotic voice. Something inside of me snapped, and I let out a deep guttural scream for him to turn that goddamn music off right now before I go out of my mind. It was the kind of scream where your throat feels scratchy afterwards. Out of the corner of my eye I saw Joe walk briskly down the hall, corralling pajama-clad kids into their bedrooms and quietly asking Jack to shut off his radio. I recognized Joe’s purposeful stride: it was the she has had enough walk. I felt ugly and ashamed. In that moment, I hated myself. Later that evening, relaxing on the couch with Joe, we talked about what happened. After I had regained my composure, I’d helped him tuck everyone in and gave apologetic kisses and reassuring hugs. But I still had a pit deep in my stomach, the kind of pit that murmured you could have done better and what’s wrong with a little robotic music and why couldn’t you let it go. And really, why couldn’t I let it go? What was the big deal if, after a long gloomy day stuck in the house, Jack turned to some music to soothe himself? I’ll tell you why. Because why on earth would anyone want to listen to that kind of sound over and over and over? It was just one more thing pointing to Jack’s propensity for odd things, his attachment to weird sounds, his peculiarities. His autism. 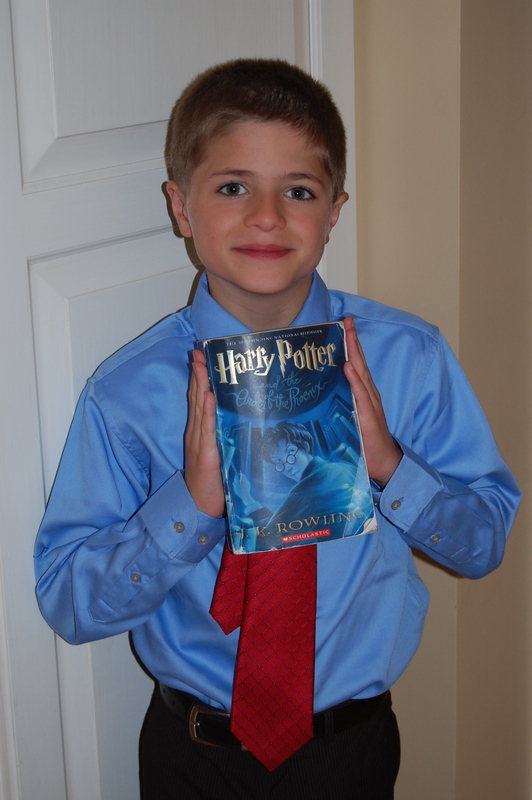 A few years ago, Joey became preoccupied with all things Harry Potter. He would corner anyone who would listen to tell them about Hogwart’s Castle and quidditch and muggles. We said he was in a phase. And we thought it was cute. That same year, Jack was preoccupied with cars. He, too, would corner random people to talk about why Camrys were better than Accords, and how many Dodges he’d seen that day. We said he was obsessed. And we thought it was a little scary. When Charlie says he doesn’t like yogurt, we say ok Charlie, have something else to eat. But when Jack doesn’t eat yogurt, we worry he has sensory issues and problems with texture. And then I add yogurt to my very long list of things we need to work on with Jack. This list already has things like fire drills and dogs and math superstars. Things like cognitive flexibility and regulation, obsessive behavior and stop wiping soap on the walls. Is this fair? I don’t know. All I know is that my beautiful boy has autism, and it’s my job to make sure he grows and reaches and progresses beyond the limitations of his diagnosis, that he stretches past the invisible parenthesis bracketing his spectrum disorder. I have to examine every nuance in his behavior and decide is this autism or is this Jack? I have to fight. But at the end of a very long snack-and-wrapper-and-music filled day like Sunday, I need to remember to fight the diagnosis, not the boy. Because although Jack and his autism are breathtakingly intertwined, they are also separate. Although they could not exist independently of one another, each has a clear voice. And if I listen very, very carefully, I can hear them both. Jack’s voice says I want to belong while autism shouts out but I make you different. Jack says that dog looks interesting but autism is quick to chime in we’re afraid of them, remember? Autism love to chant ask about cars ask about cars ask about cars but Jack is really whispering I want to get to know you. Last Sunday, Jack was trying to tell me I need this music today, but all I heard was autism’s persistent monotone. And so, sitting with Joe on the couch, I realized my job is to draw Jack’s voice out and quiet autism’s steady murmur, to help the boy shine and the autism dim. To hear him. Jack, I’m ready to listen now. Joey and his beloved Harry Potter. This picture was taken at a wedding. Deep sigh… This perfectly (reread that word and know that I meant it!) captured that push/pull that we parents feel about our children with Autism. That desire to reach in and pull out the “typical” kid and completely disassociate him from the obsessions and perseverations that make him so “other”. And drive us so completely insane some moments. Once again, you have illuminated the sometimes dark road that we walk with raw honesty and heart-wrenching vulnerability. Thank you Carrie! New to your blog and Loving it. I too have 5 kiddos but my last is Autistic… will be 3 this summer. I had to laugh because your husband sounds like mine and the fact that God is teaching me patience with this little kiddo -sometimes enough is enough. (Guilt settles in….) So knowing I am not the only one makes me smile cause I’m not a bad mom just learning the tools that I need too… Thanks for sharing your life with us!